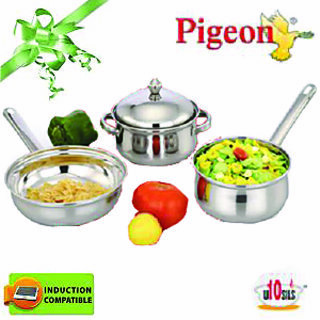 Shopclues e-shopping site offering an exclusive offer for Pigeon Stainless Steel Cookware 4 Pcs. The Actual price of this product is Rs 1295. Deal price is Rs 628 (52% discount). This is best offer. Don't miss this offer. Hurry up!! !